Child Passenger Safety Products have been updated to reflect the latest AAP policy. "When can my child ride on the vehicle seat?" Seat belts do not usually fit until kids are 4'9" tall, weigh about 80 pounds and are 8-12 years old. Standup Sofia is a life-size durable height chart that answers the question,"Are you ready to ride on the seat?" Sofia promotes booster seat safety education as kids stand next to her and see when they are most likely tall enough to ride on the vehicle seat. Sofia comes in a compact case (35"x4") for easy travel and has her own, easy to assemble, display stand. Great for car seat checkups, health fairs, school presentations, displays and more. 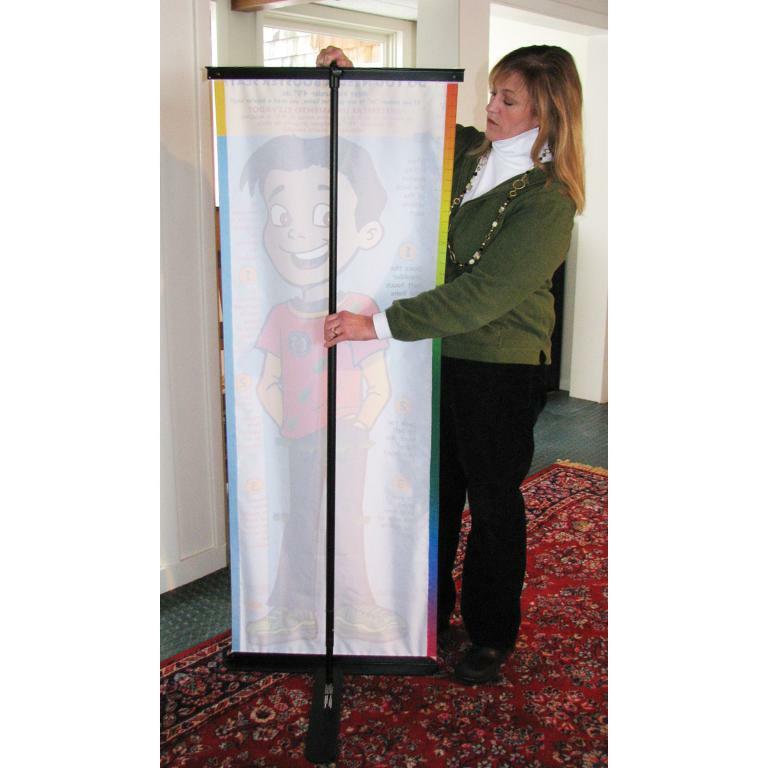 Click on the following links for other great child passenger safety standup displays. 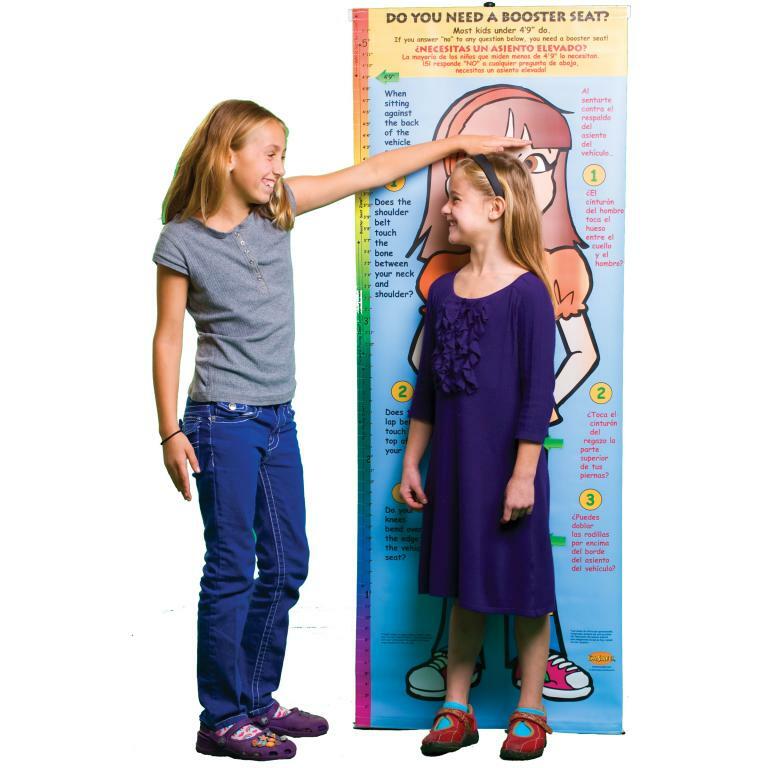 For a limited time you can now have your own customized version of the Life Size Height Chart Display, complete with your logo and contact information. Call 1-877-669-7233, ext. 206 to see what we can do for you! Details: 23 1/2" x 60", printed on durable vinyl with Velcro anchoring strips. Comes with a sturdy, easy to assemble display stand and a compact, heavy duty, nylon, carrying case. Available in English and Bilingual versions.